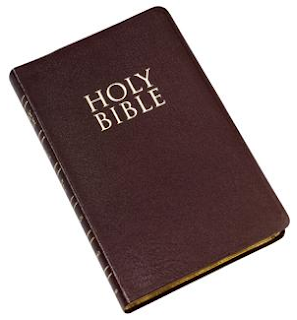 Other Food: daily devos: Could the Bible be wrong? When Canadian theologian Clark Pinnock died a few weeks ago, publications of all kinds eulogized him. He had a long and influential career in which he changed theological mounts several times, going from Calvinism to, in his later years, Open Theism. I was surprised by a comment under one of the articles about his life, in which the commenter scolded the writer for emphasizing Pinnock's earlier writings because those writings supported biblical inerrancy. What?! I thought. He wants a Bible that is errant? A Bible full of mistakes is what our society wants, though. That way we can ignore its unpopular teachings on morality, eternal punishment and other things that don't fit with current standards and popular opinions. 3] 1 Corinthians 2:10-13 expands on this process by which the revelation of the Holy Scriptures was given. Verse 13 says that even the words used in the giving of the Bible (not just the ideas, but the precise terminology) were planned by the Holy Spirit, who deployed the respective authors of the Bible books to write, "comparing spiritual things with spiritual" (literally "matching spiritual words to spiritual ideas"). The biblical view of the Bible's derivation is called plenary verbal inspiration of the Scriptures meaning every word is inspired by the Holy Spirit of God." Jack W. Hayford, "The Divine Inspiration of the Bible," New Spirit Filled Life Bible , p. 1714-15 (emphasis his). If this is indeed so (and I believe it is), no wonder God's word is profitable for such a lot: "doctrine, reproof, correction, instruction in righteousness." In plain words, it tells us the truth about God, ourselves, and how to live life in the way that works best. Let's take it seriously and apply it to all of life. PRAYER: Dear God, thank You for the Bible. Help me to understand it, and obey, apply, and order my life by it. Amen. Read this historic document as she has published it on her blog.